most important of all - meals. 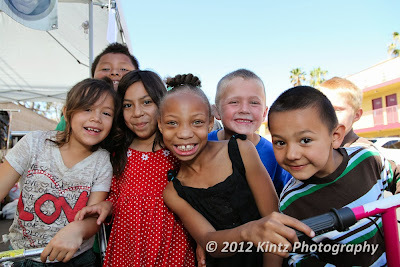 There are a total of 28,000 homeless children in Orange County. In Santa Ana alone, more than 600 children won’t graduate from high school, and more than 700 will become teen moms. Unlike most children, many at-risk youth dread going home after school. Instead of being greeted by welcoming arms and an after-school snack, imagine being greeted by an empty home – void of love, food and guidance. For many Orange County children, this is a sad reality. The Illumination Foundation formed the Children’s Enrichment Program this year, in hope to instill a daily structure for each child. The Children’s Enrichment Program provides interaction with positive role models on a daily basis, ultimately making each child more optimistic about their day-to-day life and future. 3,400 shelter beds have high-entry qualifications that leave homeless people on the streets. 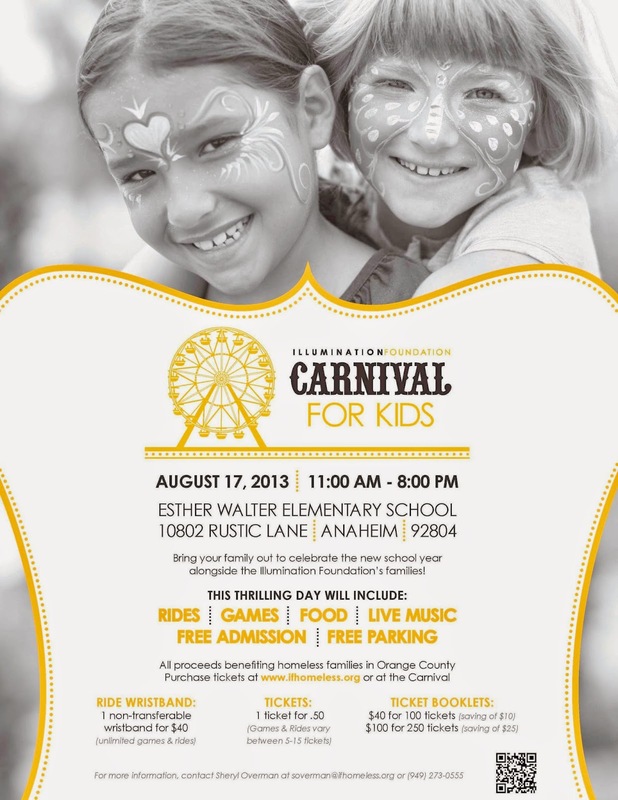 To celebrate and support the opening of the Children’s Resource Center, a Carnival for Kids will be held on August 17, 2013 from 11 a.m. to 8 p.m. at Esther Walter Elementary School, 10802 Rustic Lane, Anaheim, CA 92804. The Illumination Foundation is an Orange County-based 501(c)(3) nonprofit dedicated to providing targeted, interdisciplinary services for the most vulnerable homeless clients to break or prevent the cycle of homelessness. The Illumination Foundation pioneered an innovative and cost-effective solution to advance health and housing stability for the chronically homeless community. Illumination Foundation provides free mental health, medical and outreach services to homeless families and individuals at clinics throughout the country. To date, Illumination Foundation’s housing programs have served 1,183 families and placed 520 families into permanent housing. Illumination Foundation’s medical programs have provided medical and social services to 8,718 patients. For more information, visit www.ifhomeless.org. DISCLAIMER: This is not a sponsored post. It is for informational use only. Do not use any pictures without permission.